The Intellectual And Tradition, Part II. “Returns to past styles are never the same thing since they are separated from what they return to.” Tradition is a condition in duality for the intellectual; it is at once what grounds the intellectual and forms the root of his insight, but at the same time what ensnares them into the trap of nostalgia. So, what role does tradition play to the institution of the intellectual and how does the intellectual uphold tradition? Defining the relationship between the intellectual and tradition is the stepping stone to answering said questions, so let us start there. Tolstoy characterizes tradition itself as “the collective wisdom of my greatest forerunners” which precisely fits how tradition acts to the institution of the intellectual. Tradition is where all intellectuals draw from, whether their relationship with traditional structure is destructive or preservationist they leap from the work of their predecessors. This is because emerging intellectual movements universally draw from past movements by making them points of focus. New movements use the questions and conclusions of previous movements to build their own answers, irrespective of whether these new movements are direct successors or deviations from pre-existing movements. Take aaturalism as an example, which concludes that only observable, material laws and truths apply in the world. As a successor movement it has the aforementioned logical empiricism, which takes the naturalist conclusion as a foundational piece from which all its emerging theories must conform to. Naturalism is taken as a core assumption and is taken to its full extent, meaning all logical empiricist theories are naturalist and reject metaphysics. As a deviation of naturalism, you have modern metaphysics which focuses on proving the naturalist conclusion false, by showing that not all truths can be derived from physical phenomena. Both the successor and deviating movement incorporate their naturalist predecessor’s conclusion, though latter does so by making its rejection a fundamental piece of its movement, while the former does so by making its affirmation a first principle, meaning that all its theories must take naturalism as a base assumption. Therefore, both do ground themselves upon tradition, but they do so slightly differently. Logical empiricism chooses to carry on the naturalist conclusion by adopting it as a core foundation upon which it builds its own conclusions, so it functions as an upholder of the naturalist tradition. Modern metaphysics also takes the naturalist conclusion as a foundational question; however its own conclusions are built on dispelling said naturalist conclusion. Logical empiricism has a preservationist relationship with naturalism while modern metaphysics has a destructive relationship with it. It is this fundamental choice between dispelling or carrying on tradition that determines the role of the intellectual as an institution. Taking the institutional view is important here, because at the individual level all intellectuals draw from tradition and partake in varying degrees of destruction, thus defining the role at the individual level is meaningless because it is in flux; taking the institutional/aggregate view allows one to proscribe whether movements carry on or dispel tradition, which is a less daunting task. Tradition can also be characterized as existing institutions or systems of thought, or even more simply put – as structure. Under this logic, intellectuals universally rely on existing structure, but the choice between advocating for current structure or calling for the destruction and creation of new structure separates them. At the most extreme view, those roles can be segmented into the intellectual upholding tradition or deeming it inadequate. Believing in tradition is to believe in existing structure, but even under this definition tradition is incredibly vast, all intellectuals will reject some tradition and accept other tradition. Let us take focus on the first role however. Upholding tradition involves the justification and defense for existing institutions, doing so is the key characteristic of the intellectual institution taking the role of tradition as opposed to destruction. Tradition here starts to take on a duplicitous meaning, at once it is the structure or collective wisdom that has been inherited which must be relied upon to create new structure, but also reverence for that structure. We will make them distinct by calling the latter traditionalism. Tradition does not necessitate that the institution is completely averse to change of structure, rather it means that it understands or looks constantly towards the “why” for existing paradigms, and so needs strong justification to deviate from them. When that justification is provided, the institution can act dynamically and adopt the new paradigm. A famous case for such an adoption is the transition from Newtonian to Einsteinian physics in the past century. Newtonian physics had a strong case for being most valid physical paradigm, due to its ability to accurately predict engineering needs and creation of explanations for many physical phenomena. Knowing this, Newtonian physicists were highly skeptical of moving towards the Einsteinian model of physics when it was presented, because they understood the history, accuracy, and accordingly the justification for the Newtonian tradition. Once Arthur Eddington (a Newtonian physicist) managed to develop proof for General Relativity by showing definitively that the Einsteinian paradigm was more correct, it provided the justification needed for physics to gradually deviate from the Newtonian tradition. Traditionalism consequently also has a role in mitigating the destructive properties of the intellectual – the unplanned elimination of structure, because when the institution takes the traditionalist position it requires strong justification to deviate from existing paradigms. In contrast to the destructive role, there is an emphasis on finding the cause for working structure along with natural reluctance from strong deviation, so the institution takes the role of challenging new ideas and filtering them before adoption. The institution reveres structure in this role, so it seeks to prevent the unraveling found in the destructive role. The Einsteinian example shows a potential problem with the traditionalist stance however, the tendency to protect potentially broken or inadequate structure when an emerging structure is superior. If structure is revered totally for its own sake without understanding of its function and inadequacies, the institution can preserve existing structure without regard as to whether it is the best, most complete structure. Even a corrupted structure can be defended in this fashion. The institution taking the role of tradition does not however entail that it just preserves existing structure, it can also call for return to former structure. If the institution is dissatisfied with existing structure, it can look to past structure and see it as superior to the current, and so it pursues a return to past structure. This ironically morphs the traditionalist intellectual into taking on the destructive role, as a return to past structure requires elimination of the current. Neo-Eurasianism in Russia is a recent example of this, it is an intellectual movement which after the Soviet collapse focused on return to core “Russian-ness”, pursuing traditional Russian values and moving away from both Soviet values and liberalism associated with the west. 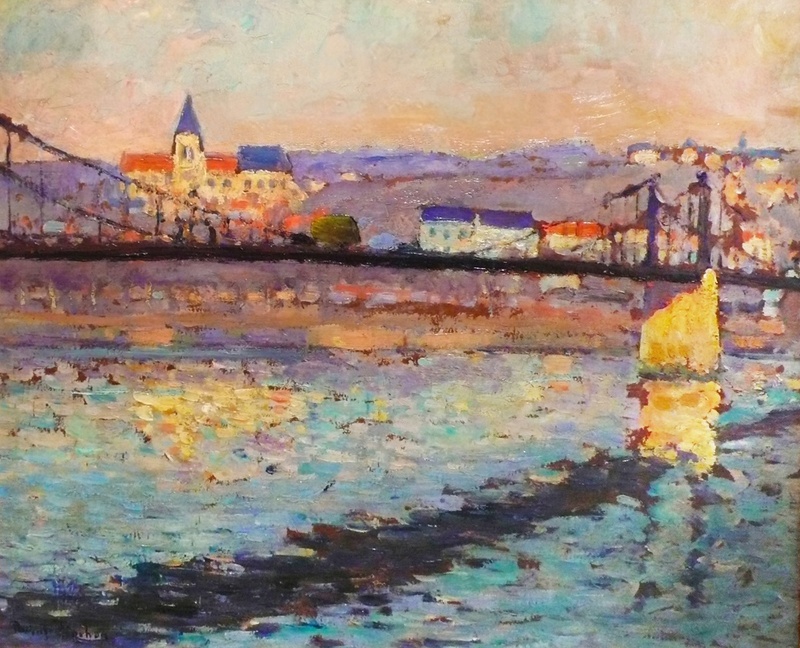 This meant a return to pre-Soviet Russian values and the restoration of Orthodoxy. Accomplishing this entailed the destruction of existing post-Soviet institutions to facilitate the return of previous structure, so the traditionalist Neo-Eurasian movement took on the destructive role for the sake of a return to tradition. Like the intellectual taking on the destructive role, the intellectual pursing a return to tradition faces the problem that the destruction of current institutions does not necessarily result in creation of better institutions. Movements can run into the trap of destroying institutions without replacement or creating institutions which are unplanned and often even more inadequate than the previous. Returns to tradition are especially prone here, because returns to tradition do not tend be pure reflections of the past institutions which they hope to regain, many institutional shifts tend to occur since the time the original institution was in style, so regaining its original form is next to impossible – it is not easy to replicate a pure form of core “Russian-ness” unless you can effectively remove 80 years of imprinted Soviet culture and institutions that separate you from it. Returns to tradition therefore tend to deviate from the original tradition rather than serving as pure emulations. When the institution pursues tradition in this fashion it also has a proneness to being enamored by nostalgia. Nostalgia here is defined as the separation between memory and understanding, the intellectual cares more for the memory of the institution and is motivated by an affection for the institution which is not borne from understanding of its meaning or purpose. Intellectuals here may pursue a return to an institution without understanding it wholly, and also not understanding the failings which caused its initial destruction. The institution of the intellectual is particularly predisposed to nostalgia because it constantly interacts with old ideas and old structure through study, It understands ideas at an intimate level. It is not much of a blind following of tradition that makes it prone to nostalgia, but rather the close interaction with tradition. There are also more systemic causes for returns to tradition, that can stem from outside the intellectual institution, but serve to lionize it for a pursuit of tradition. The work of Leonid G. Ionin is useful here, he concludes that a collapse of culture can lead to mass societal disorientation, which spews forth nostalgia. He uses the post-war collapse of Soviet culture as an example, coinciding with our previous discussion of Neo-Eurasianism and its pursuit of tradition. Cultural collapse triggers an immediate loss of identity and institutions, returning to tradition and past institutions is a solution to both these qualms. Tradition becomes identity, in that past institutions fill what is lacking. Since these returns don’t match the originals however, they are hardly satisfying. When the institution takes on the role of tradition/return it can also adopt the idea of inversion. Inversion is the other extreme of the idea of progress, it is an understanding of humanity and the world as in constant decline rather than progression. Just as a belief in total progress does not accurately represent history, the idea of total inversion does not explain history as well, as the course of history is filled with both moments of advancement and moments of lapse. Similarly to how destructive movements use progress as justification for destroying existing institutions, traditionalist movements use inversion as cause for why a return to tradition is needed. Inversion is paired with the belief that traditional virtue is being flipped – humility is replaced with pride, self-restraint is replaced with indulgence. René Guenon’s theory of intellectual decline is an example of inversion, it claims that since the Renaissance the West has been in a state of decline. Belief in complete inversion tends to result in the creation of movements that worship tradition itself, instead of upholding past structures through understanding, they uphold the idea of past structure or tradition itself. Aleksander Dugin’s fourth position philosophy is an example of a movement that takes up inversion, it holds that the progress of both right and left-wing liberalism places the world in a state of decline, and therefore a fight for tradition itself must be pursued. [Amazon no longer sells Dugin’s work on its platforms – Ed.]. Tradition is a move towards adolescence for the institution of the intellectual, it understands the “why” for existing institutions, but it can succumb to destructiveness when embroiled with nostalgia. Movements which worship tradition over the ideas represented by tradition tend to pursue blind returns, these returns tend not to match the original structures, and ironically morph into the same utopianism that destructive movements engage in. 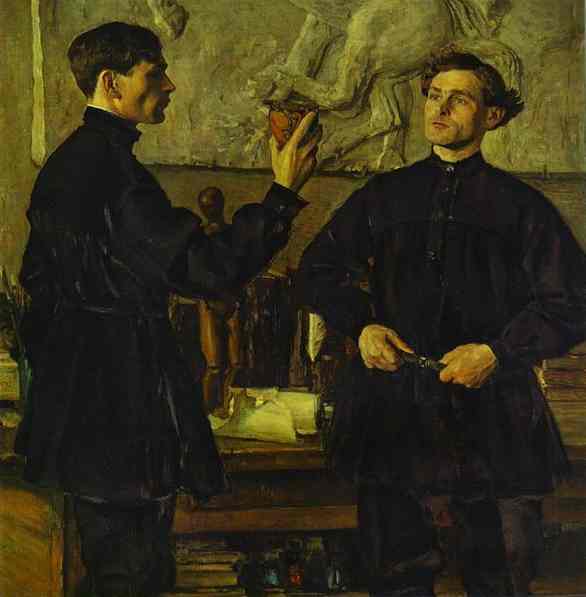 The photo shows, “The Korin Brothers,” by Mikhail Nesterov, painted in 1930. The intellectual is a person coveted and revered, they are figures that are idolized by societies and their own intellectual successors. They partake in the creation and destruction of ideas. The intellectual itself is an institution within human history; a feature with a role in structuring collective behavior and how societal forces operate. Traditional institutions like the judicial system or schools fall into this paradigm, but many establishments which appear less tangible, are also institutions. Take for example, ideas of rights which pervade Western societies or the practice of giving a wage and the ubiquitous use of currency exchange as a means of moving wealth, arguably, they are not as tangible as traditional institutions which exist as physical organizations, but they provide structure to societies, rendering their function the same as that of an institution. Institutions therefore, can take the shape of ideas, loose collectives, or simply widespread practices. Intellectuals thus, not as individuals, but rather a collection of people that exert influence upon societies through thought, in the form of an institution. This is what is meant by the intellectual as an institution, and forms the basis of the examination of the differing roles the institution takes. Among institutions the intellectual is one uniquely placed, it has the role of interacting with ideas, and therefore the ability to self adjust and to create or even destroy other institutions. Self-adjustment can be seen through the tendency for movements to arise within the institution, groups of thinkers that push forth a strong paradigm or centre themselves around a theme or problem. Think of the logical empiricists of the early 20th century who sought to eliminate metaphysics from philosophical thought or the famous French Existentialists that rejected ultimate order to the universe and rationalism. These movements dominated thought and shifted debate and the focus of questioning, even if one rejected logical empiricism or the view of an irrational universe, their entrenchment meant that they became what argument and counterargument centred around and so the institution of the intellectual became absorbed by them, both through its focus affirming and rejecting them. Intellectual movements are therefore mechanisms for adjustment within the broader institution, they disseminate paradigms which within the institution are both adopted and refuted, with discourse and the dominant paradigm eventually seeping into society at large. However, let us be careful not to isolate these movements to the institution of the intellectual, because it is not entirely responsible at the individual nor collective level for “creating” movements or ideas. Movements are universally responses to existing societal structures and dissatisfaction with them, most of which largely exist outside of the institution of the intellectual. Traditionalist movements arise with a perceived breakdown in tradition, destructive movements, like post-modernism, with a perceived failure of existing structure. In this way movements are simply responses to what surrounds the intellectual or a result of the intellectual being swept up in supporting existing political movements. But responses can compound to realize a sort of “creation” using the institution. Humanism in the early renaissance for example could be considered initially as a response to the resurgence of classical Greek literature and ideas, but that which was initialized as a response to classical ideas resulted in the creation of a distinct philosophical movement, one which saw the creation of both rationalist and empiricist paradigms, along with a greater emphasis on the idea of agency than existing institutions. To simplify further, small reactions or the adoption, creation, or destruction of ideas by many individual intellectuals can aggregate to create something distinct and more widespread in the whole (i.e. the institution of the intellectual). Continuing the renaissance example, widespread interest in observing geometry and reading classical literature facilitated the eventual birth of linear perspective in art, and renewed interest in logic which resulted in the formation of inductive reasoning. The common pursuit by many intellectuals of these ideas which were by no means new, resulted in a few being able to create novelty and a separate movement. Movements and the aforementioned self-adjustments of the intellectual aren’t however limited to accepted ideas, it also extends to the role of the institution itself. Group of thinkers arising or existing paradigms becoming untenable can result in how the institution interacts with that around it shifting as well, commonly through the adoption of more traditionalist or destructive tendencies. Both roles find justification from the view that intellectuals have a role in the guidance of society, with the destructive view in particular seeing active creation and the re-shaping of society as its means of doing so. Though, this is a bit of an extreme dichotomy, as such destructive tendencies exist even within traditionalist movements. Destructiveness is perhaps the most glorified role of the institution, its ability to push forth ideas and affect societal change, through the unraveling of what is in favour of an envisioned future state of things. If you accept the Hegelian view that the spirit and ideology evolve through history, then ideas cannot be static. Some must spring up, others be expunged, and others briefly put to rest and brought back later. The intellectual, as an institution which is constantly engrossed with ideas, is thus a catalyst for much of this activity. The institution is therefore entrusted with an important power, that to purge away ideas that hamper or hurt, and to push for the adoption of changing paradigms and new institutions. This is the destructive role of the intellectual, the elimination of ideas and existing institutions for the sake of a desired end, for an envisioned “better”. This can enable the intellectual to purge ideas and misconceptions which are unsustainable and destructive in and of themselves, like Social Darwinism, but it can also result in the destruction of paradigmns which may still have merit – for example metaphysics in contemporary philosophy. If we return to the paradigm that ideas are institutions and institutions are societal structures, then by partaking in the destruction of ideas we realize that every such act involves unraveling structure itself. Doing so of course is a necessary act, as many institutions are indeed flawed. But in this act, the intellectual is prone to lapses, where there is a tendency to destroy institutions without replacement, unplanned radicalism. An example exists in early Soviet thought, with the attempt to move away from the family unit as the dominant method of child-rearing in favour of a communal model, resulting in policy to push mothers into the labour force and creating the beginnings of state-sponsored childcare, but it failed due to the lack of replacement institutions for the family – destruction without replacement. Alas is the limitation of the destructive role of the intellectual, it can discredit and eliminate other institutions, but it does not always create better ones. It easily idealizes a more perfect world, but often fails to create it. This is first arrogance and the most childlike stage of the intellectual as an institution, a belief that it fully grasps progress (or its conflation of personal desires with progress). A lack of understanding for the reason for existing institutions yet glee to unravel them. 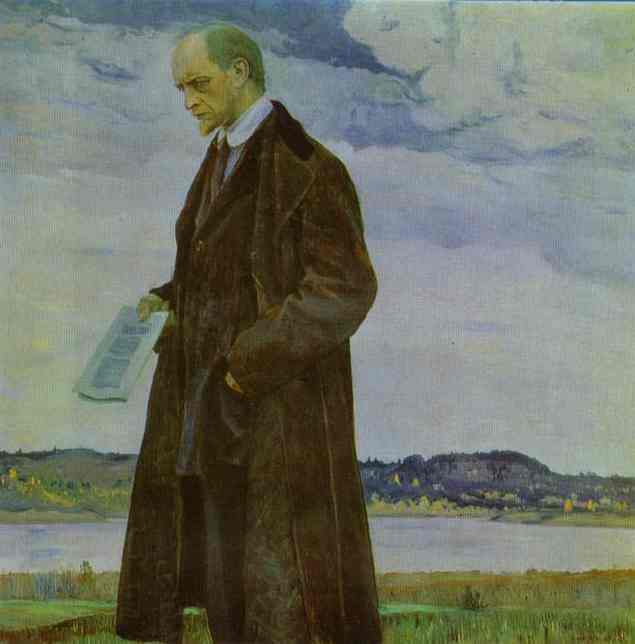 The photo shows, “The Thinker,” by Mikhail Nesterov, painted in 1921. The European Union of today finds itself at a critical juncture; with the rise of euroscepticism and upcoming aftermath of British departure, it is placed in a position where it must democratize its institutions to persevere. Doing so, perhaps paradoxically, can no longer be accomplished through European disintegration or the current intergovernmental approach, but instead requires closer integration and further federalization. Cooperation in recent decades amongst European states has been vital to securing stability in a historically tumultuous region. In that regard, the current intergovernmental framework of the EU has been effective by enabling coordination between European states, working to mitigate conflicts, and ensuring some form of economic benefit to all member states. While the intergovernmental framework may seem to some like a perfectly viable long-term approach, as it enables European nation states to retain a large degree of independence and the ability to opt-out of certain EU legislation, its result is that most decision-making institutions within the EU are undemocratic. Under the intergovernmental framework, most levers of power are rested within the two Executive bodies of the European Union, the European Commission and the European Council, which are hardly subjected to the same democratic scrutiny as the European parliament. This approach results in the democratically elected European parliament lacking the ability to propose bills or take other forms of legislative initiative, preventing the creation of the sort of feedback loop that characterizes interactions between government and constituents in federations. The intergovernmental system between European states has provided such a level of coordination and stability on the continent, that European governments will always strive to maintain it in some capacity. The alternative of complete disintegration is unappealing, as it creates uncertainty and weakens each government’s ability to exert influence abroad. Maintaining the current system is also not an option, as its undemocratic nature will continue to alienate and inflame constituents within each member state. Without reform euroscepticism will only grow and it becomes ever more likely that the Union collapses. There is also the issue of foreign policy, as the world becomes increasingly multipolar between the axes of the United States, China, Russia, and perhaps eventually India; a united European power bloc provides a better means for each member state to secure their interests on the world stage. European governments occupy a much stronger bargaining position against foreign powers when operating as a unified bloc. Individual European states are already becoming less capable of projecting influence on the global stage, but through the economic power of a unified European bloc they would have an avenue to do so. Such a bloc united under current European ethos which prioritizes diplomacy and peacekeeping could also serve as an essential balancing power in a multipolar world. With strong economic and political influence, it is placed in a position to facilitate cooperation between large powers and display a more pacifistic model of foreign relations. How should such a bloc come to be and why would Europeans favour it? The answer to the former, lies not in disintegration or continued intergovernmentalism, but instead in federalism and greater integration. Federalism in a European context would certainly share some similarities with familiar models such as the United States, however for it function in Europe, it would have work within a framework that strongly emphasize the rights and importance of the nation-state and enshrines those principles within its constitution, while also incorporating a balance of autonomy and fair representation. A supranational European federation would not be able to operate on exactly the same principles as a traditional intranational federation, it would have to be based on inter-state cooperation and give each state the opportunity to enshrine its rights in a federal constitution that it and its constituents can agree upon. This constitution would need encompass core points of European ideology that transcend each nation-state, with said points of ideological agreement creating the core of a reformed EU and serving as the fundamental principals under which a common, democratic constitution would be established upon. Such a constitution could establish mechanisms to ensure stability and prosperity for European citizens that partake in the newly established supranational structure and build frameworks for them to directly interact and democratically secure their own interests within it. A parliament with more legislative and budgetary authority than that of the current EU alongside an executive branch derived from the parliament or directly chosen by European citizens would be the most essential of these frameworks. It would curb the excess of unchecked executive power in the current EU by rendering the European Commission obsolete, and instead, vest its power in the European parliament, an institution that can be checked and regulated by European citizens. Once more, however, I emphasize that a European version of federalism would necessarily have to have some key differences to the American to be democratic and long-lasting. American and other traditional forms of federalism define their union as one of “one people”, in the European context this will initially certainly not be the case. That recognition exists even within the current EU which instead aims for “an ever more closer union”. Therefore, a federalized European Union would initially need to be based on shared ideology and a shared constitution that forms the grounds for a state bonded on civic grounds. The rights of nation-states would need to be protected for a federalized EU constitution to be ratified, therefore it could not overtake the nation-state as a national unit in its own right, but instead would form a Supranational entity that integrates each nation as a core constituent. Relatively autonomous nation-states alongside a strong, democratically-elected European parliament ensure that citizens of the Union could secure their interests via national and supranational institutions, with the latter being able to coordinate mutually-beneficial policies across borders. European citizens would find themselves better represented and better able to externalize their concerns to a European Union with institutions that allow for direct feedback, which as a result would possess greater ability to respond to constituents. Thus, a federalized and more closely integrated European Union would be looked upon more favourably by Europeans than the intergovernmental iteration that exists today, as it would give them avenues to select decision-makers and would result in the democratization of the institution as a whole. Regardless, the European Union has reached a point where it must work to reform its institutions, whichever route is chosen, democratization is pivotal to its survival. 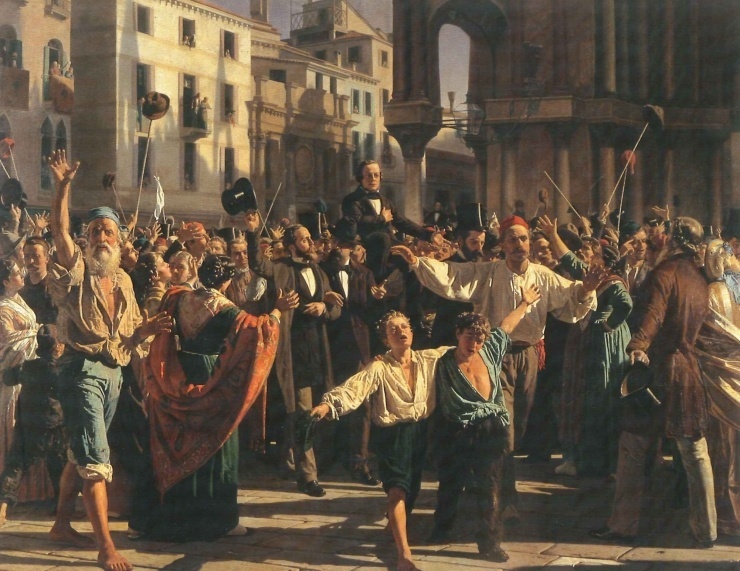 The photo shows, “Daniele Manin e Nicolò Tommaseo and the Republic of Venice,” by Napoleone Nani, painted in 1876.